By the age of 35, two-thirds of American men will experience some degree of hair loss. But for many women, going gray has often been seen as the equivalent to balding. 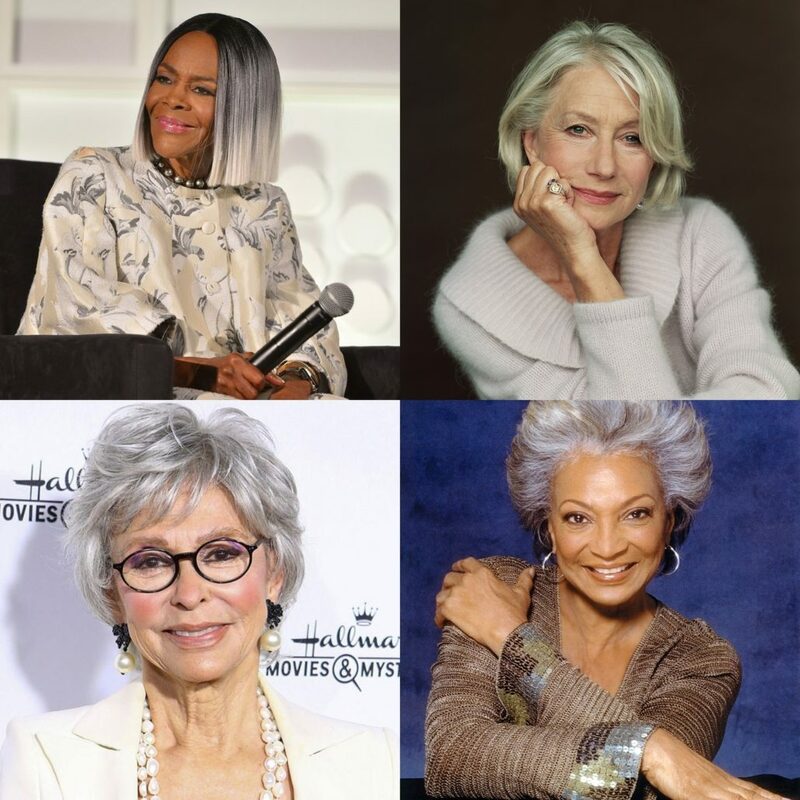 And though a lot of women will still reach for a box of dye or make regular appointments with a stylist to ensure their grays are well-covered, it’s becoming more popular for women to go au naturale and to embrace the gray in a self-love power move heard ’round the world. Yes, dyed silver and gray tresses were a trend on Instagram not too long ago. But now, women are more inclined to give up the extra maintenance and let their locks go. Grombé, a relatively new Instagram account that celebrates women who are in the midst of their gray hair transition, has grown to amass 74,000 followers and counting. 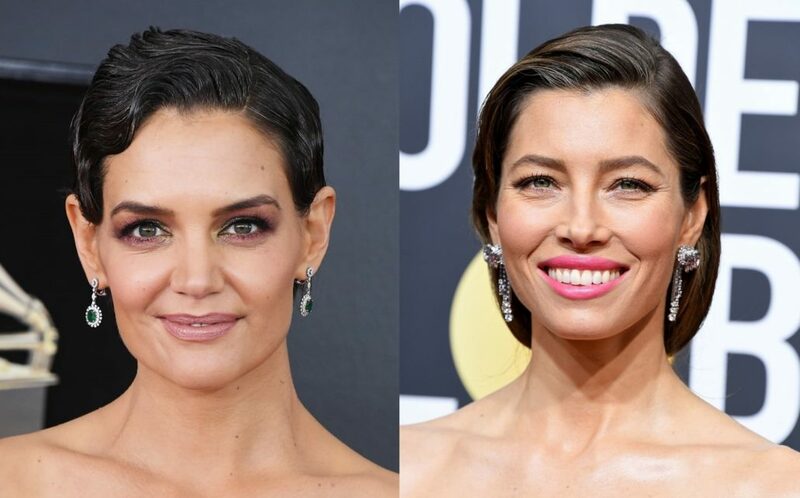 Celebrities are starting to embrace their grays as well, as Jessica Biel and Katie Holmes have recently walked the red carpet with streaks of natural silver showing. And while many women (and stylists) are still decidedly anti-gray, representation is growing — and that’s typically an important first step to widespread acceptance. But why do we even go gray in the first place? We tend to fear gray hair because we don’t want to get old, but gray hairs often start to appear on women in their 20s and 30s. Achromotrichia, the process of hair turning gray and then white, often starts around this time. Race and other genetic components are typically what determines when and how much of your hair starts to turn. Nutritional factors can play a role, as can stress — which may be why regular exercise is a good idea. Partaking in 30 minutes of moderate physical activity five times per week can also improve cardiovascular health, which is a win/win for many women. Gray hair does tend to be drier due to decreased oil production, which is another reason to follow a protein-rich diet, stay hydrated, use moisturizing products, and stay active. Ultimately, the gray hair movement is still (ironically) in its infancy. But if the growing popularity of these communities is any indication, it’s about time women were able to opt out of society’s unrealistic and expensive expectations of conventional beauty and start embracing their natural allure.